Hair is weakest when it’s wet, which is why hitting the sack right after you shower could cause damage and split ends, says celebrity hairstylist Ted Gibson. 'Rubbing on the sheets at night if hair is wet can make the cuticle ends rough up, which makes hair frizzy and dry,' he says. If you shower at night, make sure your hair is dry, or you braid it before going to sleep, he says. 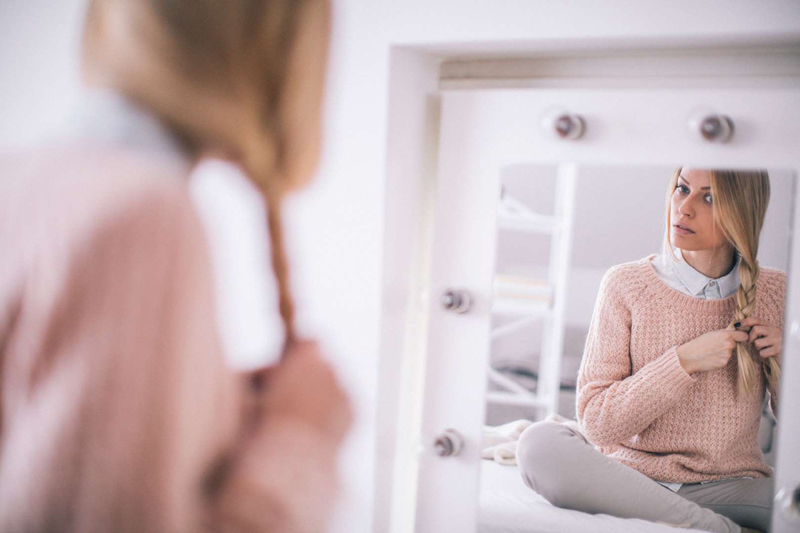 In some occasions, a topknot can preserve your style from the day before, says Gibson, but tying your hair in a tight bun or ponytail can damage your strands. 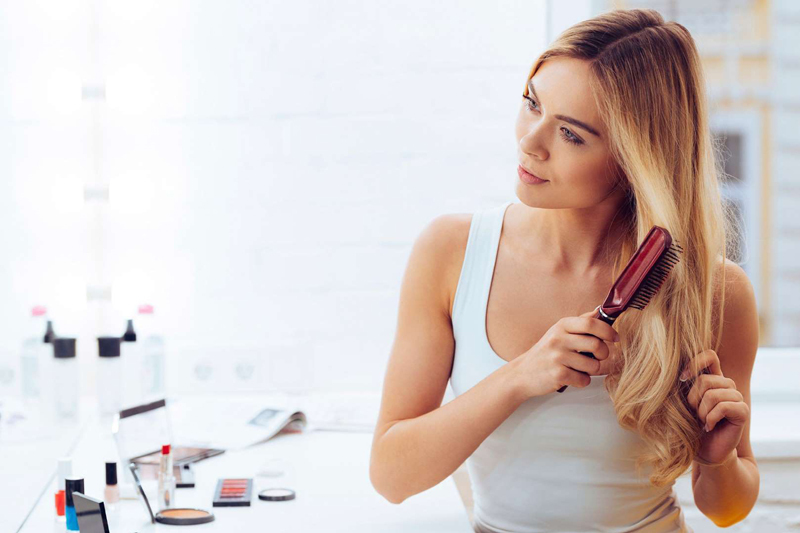 'If you wear your hair up in the same place all day or every night while sleeping, that hair tie will stay in the same place and cause breakage,' says celebrity hairstylist Kylee Heath. If you can’t stand to leave your hair down, try sleeping in braids, which are easier on the hair and will create pretty waves, she says. If you do decide to keep your hair up, don’t use a tight elastic. 'Elastic, especially if hair is wet, will make a crease, and within that crease can damage the whole area,' says Gibson. He recommends a hairpin, while Heath says a scrunchie is a good alternative because the fabric surrounding it is softer on the hair. Turns out your mother was right: Brushing your hair before bed can promote a healthier mane. 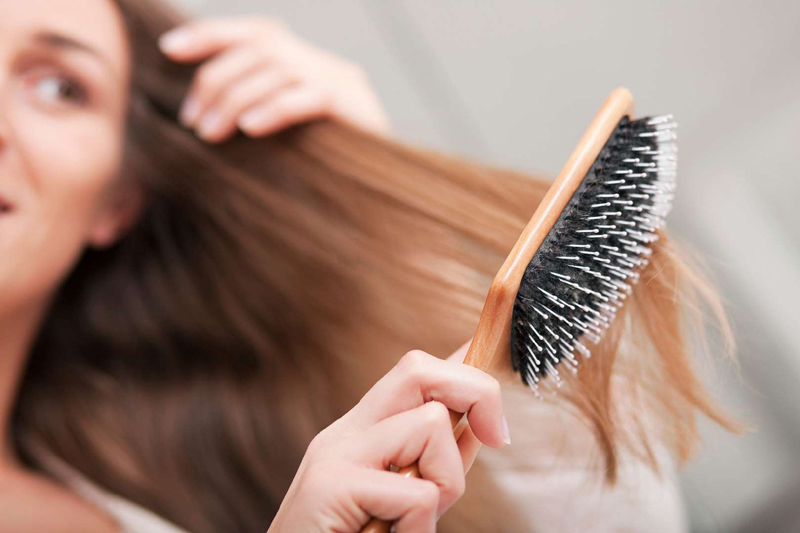 Your scalp produces natural oils, and brushing dry hair distributes them through your strands. 'Running that natural oil through your hair before bed helps stimulate the scalp and hair follicle to promote hair growth,' says Gibson. As a bonus, brushing is relaxing, so it could help you drift off to sleep (and more sleep means healthier hair), he says. Silk is gentler than cotton, meaning it won’t be as rough on your hair when you lay your head on your pillowcase. 'There’s no friction when it’s rubbing against the hair,' says Heath. 'It helps with frizz and getting your hair stuck as your hair rubs back and forth.' Treat yourself to a silk pillowcase for a luxurious slumber and great hair. If you shampoo in the morning, nighttime is your opportunity to condition your hair with products you’ll wash out when you wake up. Heath likes to run a deep conditioner through her ends, while Gibson recommends using coconut oil. 'It helps to fill in the cuticle and helps moisturize for those eight hours while you’re sleeping,' he says. In the morning, wash out the conditioner or oil for super silky strands. 'If you have a lot of hairspray in your hair, it can be really drying,' says Heath. She doesn’t recommend showering before bed to wash it out, because wet hair is damaging too. Instead, take out any bobby pins holding up your style, then break the hairspray down with a bit of leave-in conditioner, and brush it out.